Like many parents, sometimes I marvel at the lack of responsibility my children show. This is particularly true with my oldest, who is currently 12. He can be pretty forgetful at times and I can't follow him around for the rest of his life reminding him about this and that. 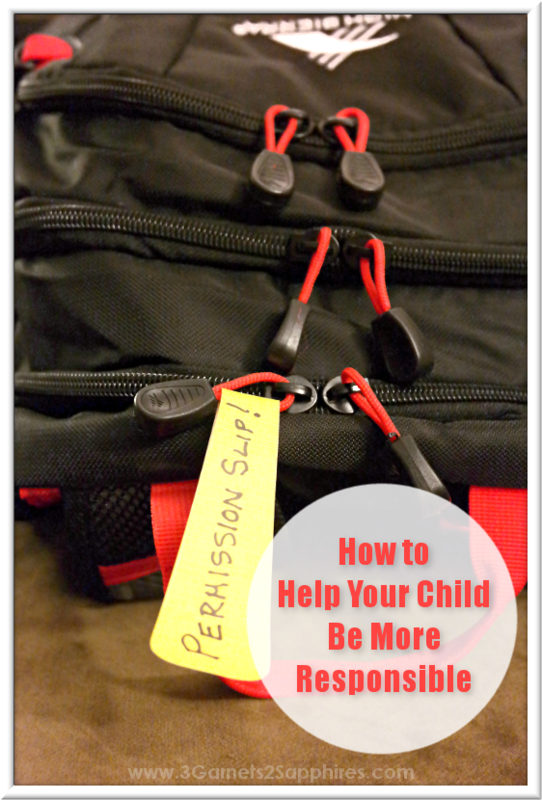 Here are 4 strategies I've employed to help our children become more responsible. Some of them work immediately, but others work over time. 4 Strategies to Help Your Child Be More Responsible . . .
1. Reminders That Go With Your Child - For times when your child is away from you, and does not have you there to remind them to do something important or time-sensitive, such as turning in their permission slip for a field trip by the deadline, try to put a reminder somewhere where they are likely to see it. My son has tried writing things on his hand, but that only worked for him half the time. 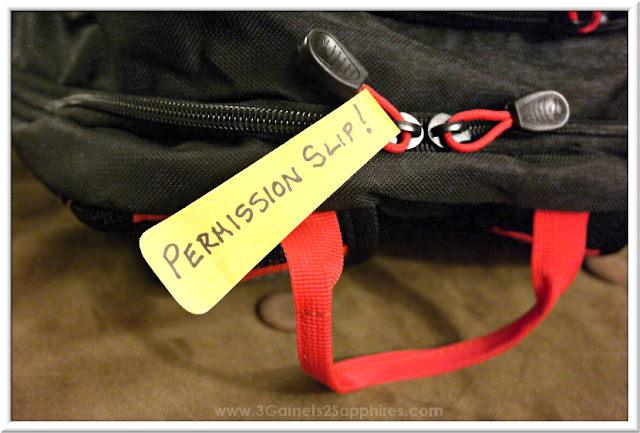 What seemed to work better was my putting a reminder tag on his backpack. He carries his backpack with him all day at middle school. If he vows not to take the tag off until after the task is done, this strategy works very well. You could also set an alarm on your child's watch or smartphone, but this should only be done when the alarm is not disruptive. An alarm going off during the school day would likely be frowned upon by teachers. 2. Train Your Child to Be Time-Conscious - This is something I just started doing and shame on me for not thinking of doing this sooner. The first thing you need to do is make sure your child has a clock they can check easily, whether it's a watch, smartwatch, fitness tracker, or a mobile device. Then instead of asking them to stop what they're doing immediately so they can do an assigned chore, you could tell them that they don't need to stop watching TV now, but they need to start the dishes by 7pm. If they start the dishes by 7pm, then they can watch TV for another half an hour when they're done. If they do not start the dishes by 7pm, then there are no more electronics for the rest of the evening. So far, this has worked well with my 9 year old daughter. Her twin brother and older brother are coming along more slowly. 3. Adopt a Pet - Adopting a pet of any kind takes a commitment from the whole family. It does teach children responsibility, but it could take years. I've spent two years teaching our children to care for these two rescued cuties and to put the dogs' needs before their own. Even after two years, they don't always remember to feed the dogs and give them fresh water before they sit down to breakfast themselves, but they do remember more often than not. I've also started to find that they will occasionally notice when the water bowl is nearly empty and will take the initiative to fill it. 4. Use Checklists Regularly - This is something you can start with your children early on. If they haven't learned to read yet, you could use checklists with images instead. Getting ready for school in the morning warranted a checklist at our house. This, again, takes time to develop a habit of using the list and then going back through to double-check that nothing was missed. I'd say it took our children a year and a half to get in the habit of using our morning checklist and not missing anything about 90% of the time. Don't let your children fall into the habit of looking at the list and checking an item off as completed without actually going to check that it is actually done. This was one of my children's biggest challenges. Like these tips? Pin this post for later . . .
Do you have tips and tricks for teaching children to be more responsible? Share them with us in a comment here.